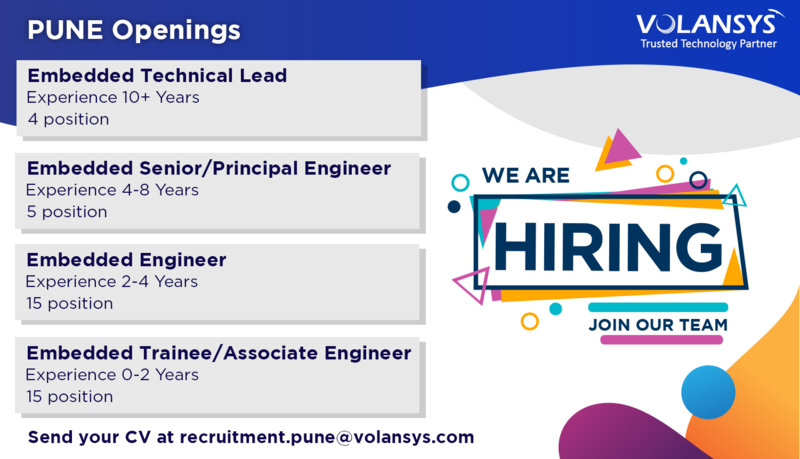 At VOLANSYS, we believe that the human resource policies are for the benefit of the employees as you spend more than 50% of your day at the organization. We trust in tremendous power of human energy and believe that as a team “We can move mountains”. We offer you a Career and not just a job. We provide all possible opportunities to grow your career. We provide a work environment where innovative ideas can be realized quickly. The management is easily approachable to discuss the concerns. The management is always interested in solving the root cause of the problem so that the employees can concentrate on their core strength and the work. We help employees identify their core strength for an exponential growth. We follow a strong value system and ethics.